She is the author of Careless People: Murder, Mayhem and The Invention of The Great Gatsby and The Many Lives of Marilyn Monroe. 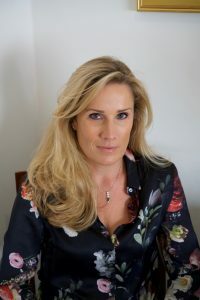 Her literary journalism has appeared widely in newspapers including the Guardian, New Statesman, Financial Times, Times Literary Supplement and New York Times Book Review, and she comments regularly on arts, culture, and politics for television and radio, where appearances include Question Time, Newsnight and The Review Show. She has judged many literary prizes, including the 2014 Man Booker Prize, and she was a co-winner of the 2015 Eccles British Library Writer’s Award. In 2017 she is one of the judges of the Baillie Gifford Prize for nonfiction. Her new book, Behold, America: A Partial History of America First and the American Dream, is published by Bloomsbury. Anna Saunders is a poet, author of Ghosting for Beginners her fifth collection, and founder of Cheltenham Poetry Festival.